When I talk to senior management in companies, whether it’s marketing, PR or customer service, I like to ask about how they’re integrating social within their organization. I get a common refrain. There’s always a pause, followed by an explanation as to why it’s difficult or risky. With all the highly publicized social gaffs it’s no wonder they’re afraid. It got me thinking about how managers can better prepare their staff for interacting on social channels. The challenge with social is the the unstructured nature of the communication. Marketers work very hard to orchestrate a campaign. There’s detailed planning, rounds of revisions and fine tuning, and then a carefully executed implementation. And while it’s helpful if everyone involved understands the big picture, each person is generally responsible for a specific aspect of the overall plan. It’s like an orchestra. Each instrument plays a specific track, some of which would sound odd if played solo, but creates a symphony when played together. If traditional communications is an orchestra, social is more like a jazz ensemble. I love listening to jazz and, even more, watching AND listening. When a jazz ensemble is really “on” you can see the interactions and communications among them, through body language and musical cues. The most fascinating aspect is the improvisations. The riffs. When I learned to play an instrument back in grade school, it was a fairly structured process. My first instruments were clarinet and saxophone. I learned the layout of the instrument and I learned the notes. And I learned the language of music, words like measure, time signature, key, tempo and clef. Our teacher put some music in front of us and choreographed our actions to create a complete sound experience, one that was greater than the sum of its parts. With my newly acquired skills I could take any piece of music and play it. Maybe not well, but I knew the rules and just had to work my way through it. Then one day I was asked join the stage band. I brought my saxophone to the first rehearsal, grabbed the sheet music from my music teacher and sat down to play. The first song we worked on was Weather Report’s Birdland. I hadn’t heard it before but all I had to do was follow the music and play the notes. Pretty straightforward. Then, in the middle of the song my teacher stopped us and started the drum and bass with just the basic chords we had been playing. He looked at me and said “we’re gonna practice solos. 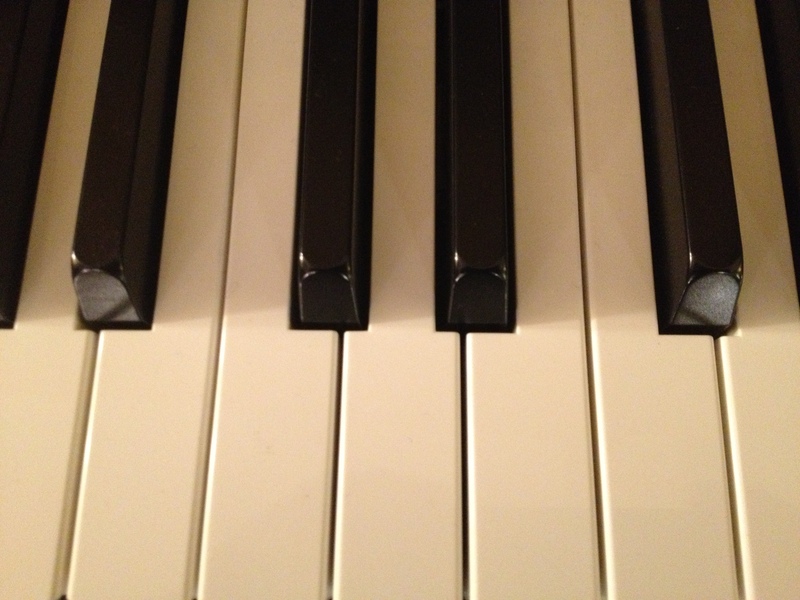 Play something.” I knew the key and tempo, but I had to make up my own notes to go with it. And everyone was watching me. I had to draw on everything I had learned about scales and chord progressions and integrate it with what I was hearing in terms of the rhythm and music the other band members were playing. That’s the key to social media. As a manager you need to give your team more than just sheet music — scripts and canned responses. You need to give them an understanding of the underlying themes and rhythms of your campaign — and your brand! — so when it comes time for their solo they can be creative but still harmonize with the rest of your brand communications.